Previously known as Merlo Ristorante, La Salumeria del Merlo, our Lincoln Avenue location, we offer a fresh new concept and menu, featuring a variety of savory new recipes coming from the same traditional Bolognese cuisine, that everyone can enjoy. At La Salumeria del Merlo, you can either dine in our beautiful dining room or purchase to go. For our guest that would like to take advantage of cuisine to go, we will have available a retail counter where our guests can purchases our famous fresh homemade pastas, sauces, cheeses and ingredients to take home and prepare. We will also offer a variety of traditional meats, cheeses and breads, such as prosciutto di parma, mortadella, parmigiano reggiano, and our famous stregga bread crackers. Cafe Ba-Ba-Reeba! serves tapas, the hot and cold appetizers of Spain. Made from seafood, meats, cheeses and vegetables, diners can sample many tapas dishes to create a full meal. 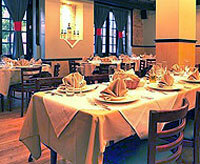 Patrons can also choose to have a traditional style meal featuring nine different styles of Paella and unique entrees. 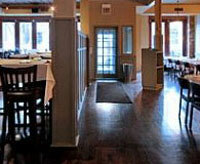 Kith and Kin is located in one of the most charming neighborhoods of Lincoln Park. Stroll in for a signature cocktail at their full-service bar; sit down for a quick burger, or let the kitchen led by David Carrier (from Trio and French Laundry) create a special dinner for your evening. Whichever capacity to which you choose to use it, Kith and Kin offers a warm, cozy neighborhood setting with world-class cuisine. Sapori is a popular neighborhood restaurant featuring an innovative presentation of Italian cuisine at a reasonable price. 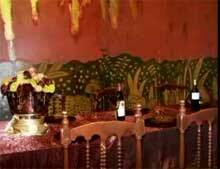 The restaurant has an intimate warm feel & a friendly helpful staff. The highly visible owner & Roman chef run Sapori & focus on bringing customers uniquely satisfying dining experiences. 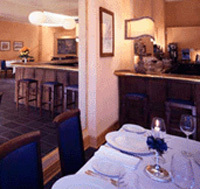 Sapori offers an extensive, affordable wine list & a full selection of spirits. 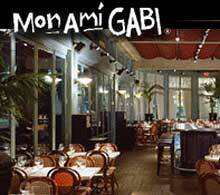 Guests of Mon Ami Gabi Chicago will enjoy the airy interior with its large French windows opening out onto the Lincoln Park Conservatory, or, in the summer months, the lovely outdoor garden. An authentic reproduction of a turn-of-the-century Parisian bar accents the interior. The menu at Mon Ami Gabi signals a return to simple French food and features Classic Steak Frites and Fruits de Mer offered in a variety of styles. Some of the regional dishes are Bouillabaise Marseillaise, Trout Grenobloise with Capers and Beef Wellington.